Offering courses at great special prices! 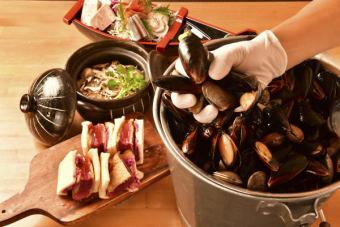 Absorb luxury ingredients with exquisite cuisine ♪ With an additional 120 minutes drink unlimited! Suitable for white wine, perfect for a variety of scenes including girls' associations and company banquets with delicious sake and meals at the center of cuisine! * The contents may be changed depending on the purchase situation.